Today was my colleagues last day at work. It was pretty sad to think that we will never see him again at work. We spent our last lunch with him at a Mexican Tex-Mex Restaurant. I am not really a fan of Mexican food, but the food that I ordered was okay, of course my lunch with colleagues were great, and my boss paid for everything, so it is awesome. 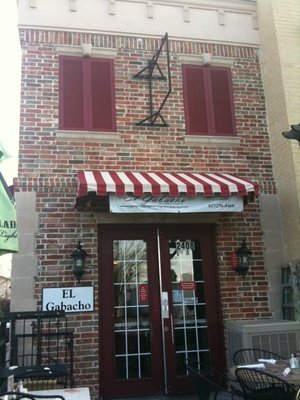 If you are looking for a real Mexican and Texan food, you might want to try that restaurant we went to at lunch today, The name of the restaurant is El Gabacho Tex-Mex Grill in Arlington Texas, their food are great and the environment is nice, clean and descent.